Asian Handicap – is a type of bet that gives a virtual advantage to a team. It can be with both (-) and (+). Let me give you an example. In the football (soccer) game between team A and B we want to make an Asian Handicap -1 bet for team A. This means that in order for our bet to be winning team A needs to win with 2 or more goals (2:0, 3:1, 4:2 … etc). If team A wins only with 1 goal (1:0, 2:1, 3:2) the bet is void and we get our money back. If the game finishes even or team B wins our bet is lost. Alternative Asian Handicap – is the same as Asian Handicap but will give us the options to choose just how big the virtual advantage is +/- 2/3/4. First-half Asian handicap – is the same as point 1, but only about the first half. Asian total corners – is a type of bet that allows you to bet on the total number of corners in a given game. Asian Total Corners (ATK) – can be with integer numbers (8, 9, 10 …) or with non-integer (8.5, 9.5 …). If your bet is for team A to have more than 10 corners there are 3 possible outcomes. If they have less than 10 corners the bet is losing, if they have more than 10 corners your bet is a winner and if they have exactly 10 corners your bet is void and the money is returned to your balance. If you are betting with non-integer numbers the possible outcomes are only two, you either win or lose. First-half Asian corners – Just like Asian Total Corners but only about the first half. Accumulator bet – is a bet where the players make a combination of two or more bets in one slip. The player wins if all bets are winners. Arbitrage betting – this is a method of betting which guarantees a winning outcome no matter how the given game finishes. Example: two bookmakers give different coefficient (factor) about a tennis game. The first gives player A a factor of 2.1 for a win, and the second bookie gives 2.2 for player B to win. In this scenario, if you bet 100 euro on both players to win the game with the appropriate bookmakers you will either get 10 euro winning if player A wins or 20 euro if player 2 wins. Bookmaker/Bookie – is the licensed company which allows you to bet on different markets. 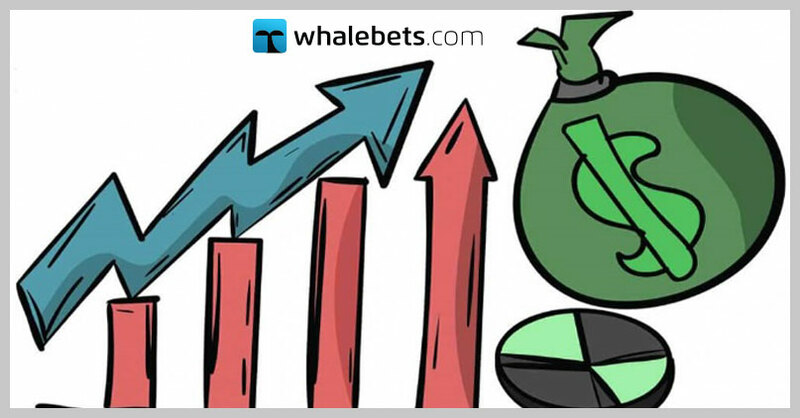 Betting exchange – is a place where you can bet against other players who are willing to bet on the opposite outcome of your bet. The loser of this “dispute” pays off the winner. Both teams to score – is a bet where you win if both team A and B score. Correct score – is a bet where you have to predict the exact score of a given game (3:1, 2:2, 0:1 etc). Double chance – is a type of bet where you win with 2 of the outcomes of the game. For example, if you bet 1/2 this means you will only be losing if the game finishes with a draw. The other variants are 1/X or 2/X. Draw no bet – is a bet where if you chose Team A to win (draw no bet) your bet will be winning if Team A wins the game and if the game finishes with a draw your bet will void and the money will be put back in your balance.